Rachel has recently started a 5 year career development fellowship at St John's College, Oxford, where she is developing a research programme in climate change science to support policy and practice, focusing on African climate systems. She is also responsible for physical geography teaching at St John's. Rachel has a doctorate from the University of Oxford, focusing on African climate change, and was previously a Research Fellow in Climate Modelling for Climate Services at the Environmental Change Institute, and a Visiting Researcher at the Department of Oceanography, University of Cape Town. Rachel works closely with scientists in the OUCE's Climate Research Lab, particularly as part of the African climate research group. Rachel is interested in how climate science can better support decision making, particularly for climate change adaptation, and with a focus on African climate systems. Part of her research involves analysis of climate model data, to deliver process-based understanding and ultimately improve the quality of climate information for adaptation. Another part focuses on better understanding of decision analysis and decision making, to explore the relevance of climate information in these contexts. Rachel is investigating change in African climate systems. She is interested in how anthropogenic forcing might be influencing precipitation in the present day, and how regional climate systems might change in future. Such information could be highly valuable for adaptation planning, however large and poorly understood uncertainties associated with climate model results make them difficult for decision makers to utilise. Rachel is interested in improving the usefulness of climate model simulations through process-based evaluation to inform confidence assessments. She is currently working with scientists at the UK Met Office, Kwame Nkrumah University of Science and Technology, and Universities of Nairobi, Yaounde I, and Cape Town, to develop a suite of metrics for model evaluation, targeting processes relevant to African climate, as part of the NERC/DFID funded IMPALA project. More recently, her work has focused on southern Africa, particularly modes of tropical-temperate interaction, as part of the UMFULA project. Rachel has been working with researchers across disciplines to better understand the role of climate information in climate change impacts and risk analysis, decision analysis, and climate services. One way to improve climate services is through better integration of climate science with research in hydrology, ecosystems, food, and infrastructure systems. 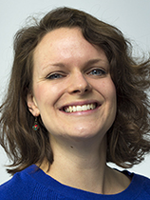 As a Research Fellow at the ECI, Rachel was working to connect research relating to climate services and climate change adaptation across the university as well as externally, and developed a summary of relevant research in Oxford as a means to facilitate collaboration. A particular interest is the relevance of climate science for international climate policy. Rachel has a long running interest in the discussions surrounding the Long Term Global Goal under the UNFCCC, including the 1.5°C and 2°C targets. Her DPhil research focused on identifying changes in African climate associated with 1.5°C, 2°C, 3°C, 4°C and beyond. She has published a review of methods to extract regional climate changes at 1.5°C and 2°C of global warming, which informed analysis for the IPCC Special Report on 1.5°C. Rachel has also become increasingly interested in UNFCCC discussions of 'Loss and Damage'. This began through her work with the ACE-Africa project, investigating the relevance of extreme event attribution science for policy-makers, including interviews with key stakeholders, and participatory games. This work emphasised ambiguity surrounding Loss and Damage (L&D), and prompted an interdisciplinary project to investigate stakeholder perspectives, in collaboration with Emily Boyd (LUCSUS), and Richard Jones (Met Office/Oxford). Following interviews with almost 40 key actors in science, policy, and practice, they identified a typology of four perspectives on L&D, and are working with stakeholders to enhance understanding of these perspectives, including the Executive Committee of the Warsaw International Mechanism on L&D. Rachel is a Teaching Fellow at St John's College, running tutorials for undergraduate students in climatology, climate change, geomorphology, ecology, science-policy interactions, and as well as methods and approaches in physical geography. She is also delivers the undergraduate option in Climate Change and Variability with Richard Washington. Rachel previously taught on the MSc in Environmental Change and Management, as part of the DPhil training programme, and as a Lecturer at St Catherine's College. Desbiolles, F., Blamey, R., Illig, S., James, R., Barimalalal, R., Renault, L. and Reason, C. (2018) Upscaling impact of wind/sea surface temperature mesoscale interactions on southern Africa austral summer climate. International Journal of Climatology, 0(0). Huggel, C., Muccione, V., Caney, M., James, R., Jurt, C. and Mechler, R. (2018) Loss and Damage in the mountain cryosphere. Regional Environmental Change. James, R., Washington, R., Abiodun, B., Kay, G., Mutemi, J., Pokam, W., Hart, N., Artan, G. and Senior, C. (2018) Evaluating climate models with an African lens. American Meteorological Society. James, R.A., Jones, R.G., Boyd, E., Young, H.R., Otto, F.E.L., Huggel, C. and Fuglestvedt, J.S. (2018) Attribution: How Is It Relevant for Loss and Damage Policy and Practice? Loss and Damage from Climate Change: 113-154. Pokam Mba, W.P., Longandjo, G.T., Moufouma-Okia, W., Bell, J.P., James, R., Vondou, D.A., Haensler, A., Fotso-Nguemo, T., Guenang, G.M., Tchotchou, A.L.D., Kamsu-Tamo, P.H., Takong, R.R., Nikulin, G., Lennard, C.J. and Dosio, A. (2018) Consequences of 1.5 °C and 2 °C global warming levels for temperature and precipitation changes over Central Africa. Environmental Research Letters, 13(5). Shepherd, T.G., Boyd, E., Calel, R.A., Champman, S.C., Dessai, S., Dima-West, I.M., Fowler, H.J., James, R., Maraun, D., Martius, O., Senior, C.A., Sobel, A.H., Stainforth, D.A., Tett, S.F.B., Trenberth, K.E., van den Hurk, B.J.J.M., Watkins, N.W., Wilby, R.L. and Zenghelis, D.A. (2018) Storylines: an alternative approach to representing uncertainty in physical aspects of climate change. Climatic Change. van der Geest, K., de Sherbinin, A. Kienberger, S., Zommers, Z., Sitati, A. Roberts, E. and James, R. (2018) The Impacts of Climate Change on Ecosystem Services and Resulting Losses and Damages to People and Society. Loss and Damage from Climate Change: 221-236. Boyd, E., James, R.A., Jones, R.G., Young, H.R. and Otto, F. (2017) A typology of loss and damage perspectives. Nature Climate Change. James, R., Washington, R., Schleussner, C., Rogelj, J. and Conway, D. (2017) Characterizing half-a-degree difference: a review of methods for identifying regional climate responses to global warming targets. Wiley Interdisciplinary Reviews: Climate Change, 8(2). Parker, H.R., Boyd, E., Cornforth, R.J., James, R., Otto, F.E.L. and Allen, M.R. (2017) Stakeholder perceptions of event attribution in the loss and damage debate. Climate Policy, 17(4): 533-550. White, C., Carlsen, H., Robertson, A., Klein, R., Lazo, J., Kumar, A., Vitart, F., Coughlan de Perez, E., Ray, A., Murray, V., Bharwani, S., MacLeod, D., James, R., Fleming, L., Morse, A., Eggen, B., Graham, R., Kjellstrom, E., Becker, E., Pegion, K., Holbrook, N., McEvoy, D., Depledge, M., Perkins-Kirkpatrick, S., Brown, T., Street, R., Jones, L., Remenyi, T., Hodgson-Johnston, I., Buontempo, C., Lamb, R., Meinke, H., Arheimer, B. and Zebiak, S. (2017) Potential applications of subseasonal-to-seasonal (S2S) predictions. Meteorological Applications. Mitchell, D., James, R., Forster, P.M., Betts, R.A., Shiogama, H. and Allen, M. (2016) Realizing the impacts of a 1.5°C warmer world. Nature Climate Change, 6: 735-737. James, R., Otto, F., Parker, H., Boyd, E., Cornforth, R., Mitchell, D. and Allen, M. (2015) Characterizing loss and damage from climate change. Nature Climate Change, 4: 938-939. James, R., Washington, R. and Jones, R. (2015) Process-based assessment of an ensemble of climate projections for West Africa. Journal of Geophysical Research, 120(4): 1221-1238. Johan, R., Guy, B., Brian, H., Wolfgang, L., Schellnhuber, J., Kabat, J., Nakicenovic, N., Gong, P., Schlosser, P., Manez, M., Humble, A., Eyre, N., Gleick, P., James, R., Lucena, A., Masera, O., Moench, M., Schaeffer, R., Seitzinger, S., van der leeuw, S., Ward, B., Stern, N., Hurrell, J., Srivastava, L., Morgan, J., Nobre, C., Sokona, Y., Cremades, R., Roth, E., Liverman, D. and Arnott, J. (2014) Climate change: the necessary, the possible and the desirable. Earth's Future, 2(12): 606-611. Mechler, R., James, R., Wewerinke-Singh, M. and Huq, S. (2018) Loss and Damage in IPCC’s report on Global Warming of 1.5C (SR15). A summary. Huggel, C., Bresch, D., Hansen, G., James, R., Mechler, R., Stone, D. and Wallimann-Helmer, I. (2016) Attribution of irreversible loss to anthropogenic climate change. EGU General Assembly 2016, held 17-22 April, 2016 in Vienna Austria. Boyd, E., James, R. and Jones, R. (2016) Policy Brief: A spectrum of views on Loss and Damage. Boyd, E., James, R. and Jones, R. (2016) Policy Brief: Typologies of Loss and Damage and Associated Actions. James, R. (2016) Sensitivity of Earth Systems: Lessons from the 1.5 Degrees Conference: how sensitive are, earth systems to 1.5°C? Otto, F.E.L., James, R. and Allen, M.R. (2014) The science of attributing extreme weather events and its potential contribution to assessing loss and damage associated with climate change impacts.